I have a Dell Inspiron N4050 on which i have installed a 32-bit Windows 7 recently. Everything is working fine except the the resolution of my screen is flat and strched from the sides: due to vga driver not working. I did install the Intel Driver, but still no response. 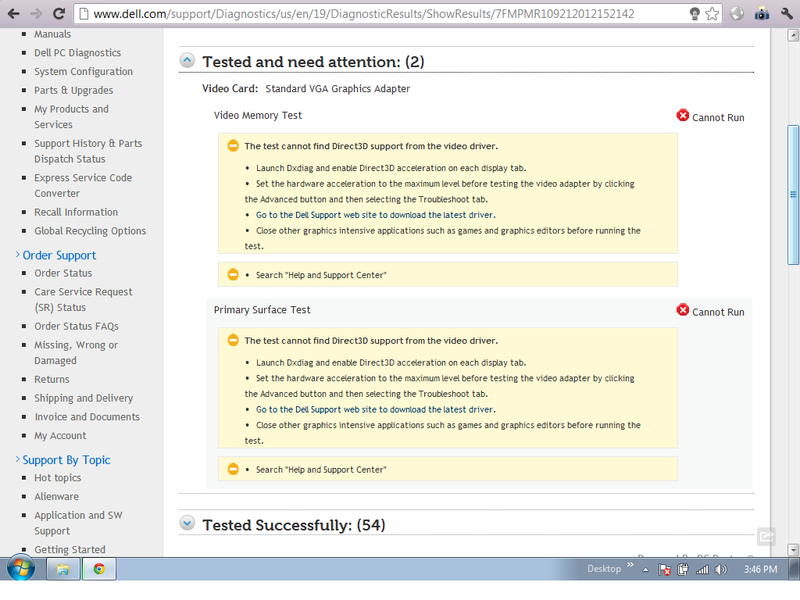 The Dell Diagnostic test gave the following result (attached picture).. what should i do?? Try uninstalling the Intel graphics driver using this Driver Sweeper tool. Note river Sweeper is a 3rd party tool and not a Dell validated tool. Reboot the system,go to Device Manager,expand Display adapters and post a screen shot showing the list of components in Device Manager. I will install the chipset driver too today.